On December 7th, JICE headquarters and Chubu office hosted networking events for the international students studying at various universities under different scholarship and project categories managed by JICE. Headquarters hosted a potluck party at JICE seminar room. Multi-national dishes brought by the students from Asia, Africa and Middle East and the JICE staff members were spread all over the table. The participants enjoyed conversation while introducing and eating their home made dishes. By way of entertainment, the participants were invited to join a quiz competition regarding Japan, such as Japanese culture, social and language which enabled them to deepen their understanding of Japan. 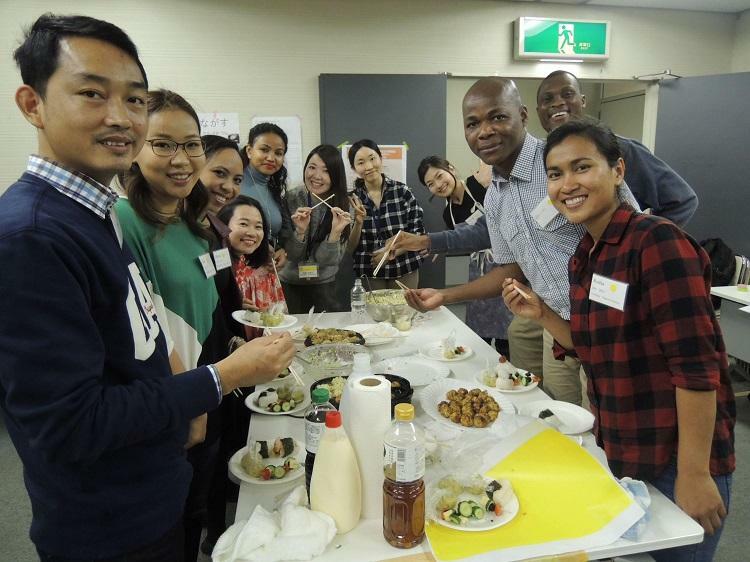 Chubu office hosted a cooking party at Nagoya International center. 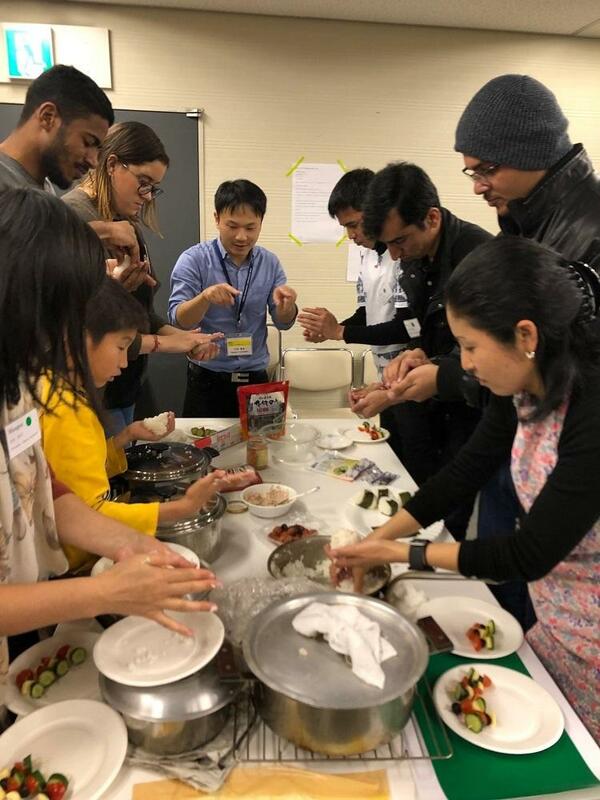 All participants were divided into four groups and learnt how to cook popular Japanese dishes; Onigiri (rice ball), Takoyaki (Octopus dumpling), Chakinshibori (Sweet potato ball) and pinchos with instruction given in Japanese. 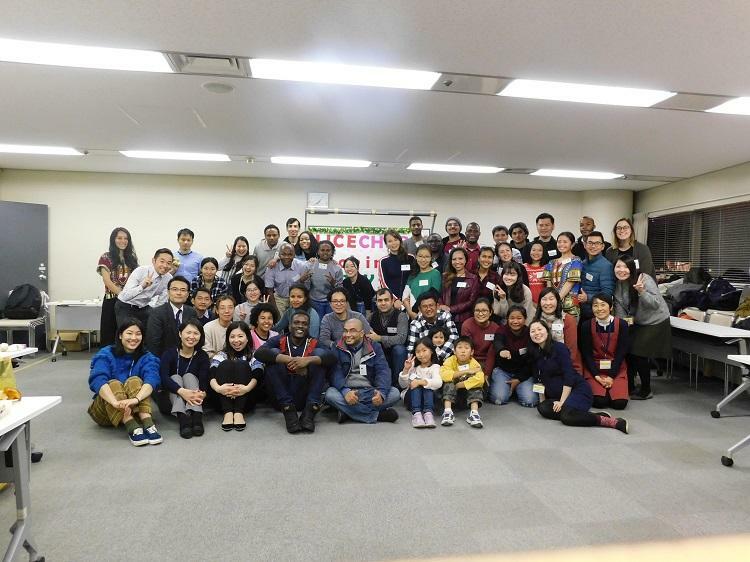 JICE staff members served as instructors and the staff members of JICA Chubu Center assisted the instructors. Everyone enjoyed cooking and communicating in Japanese during cooking. Through attending the parties, the students from various countries and universities were able to socialize themselves and build truly international networks. In addition to supporting academic life of the students, JICE will be committed to enrich their life in Japan through organizing social and cultural events such as this.